Jun 23, 2018 | Under Aventura, Car Accident | Posted by Dante Law Firm, P.A. Recently a bill that would replace one made in 1971 as a part of a no fault insurance automobile plan has failed to be passed in the legislative session. This law attempted to override the current system where no fault applies. In the no fault system drivers are required to purchase personal injury protection coverage. Not only can this be very costly but also means drivers then have to purchase further health insurance to cover them whilst they are in an vehicle. According to a State-commissioned actuarial study, the proposed reforms would have saved drivers an average of $81 per car. Good chances in the future? Unluckily for drivers in Florida a similar bill was not passed. Currently there are no laws in place that require that drivers in Florida purchase insurance for bodily injury to cover the damage they cause in the unfortunate event of an automobile accident of any sort. It is however highly recommended that you do. The no fault policy is used interchangeably with personal injury protection. This insurance plan that allows policyholders to recover money for certain financial losses from their own insurers. 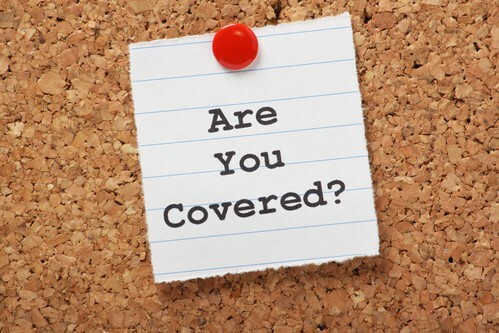 This type of insurance allows for $10,000 maximum compensation in a single claim to cover costs such as medical bills and car repairs alongside earnings lost due to the accident directly from their insurance providers. This can be claimed regardless of who is at fault for the accident. Currently, owners of automobiles in Florida are required to purchase only $10,000 in PIP coverage and $10,000 in Property Damage Liability (PD coverage). There are many flaws in this current system, and because of this the system does not seem to work very well. The reason it does not work as smoothly as it should is because it covers only 80% of medical expenses and 60% of lost income, leaving claimants responsible for 20% of medical expenses and 40% of lost income; and that’s only up to $10,000.00. Currently, Florida drivers are paying one of the highest rates of insurance in the country, ranking us as fifth. The high premiums are not the only problem, the no fault system also allows a lot of fraud to slip through the cracks of the insurance companies and can also leave a lot of drivers struggling with costs inflicted due to faults of other drivers. Car accidents can be a very difficult time especially when injuries are sustained. They can bring about a lot of emotional and financial loss. Speak to our Aventura Car accident attorney to not only establish liability and determine which coverage applies in your case, but also to calculate how much insurance coverage is available. Contact the Dante Law Firm, P.A. and get a free case evaluation today. Call at 305-949-2526 or fill out this contact form. .